The following article was published by RUSI on 16 March 2015. On 19 August 1915, the last bedraggled and demoralised Turkish soldiers left al-Bida (modern-day Doha) and, for the first time in fifty years, the Ottomans were without a military presence on the Qatari peninsula. But a newly signed military agreement between Qatar and Turkey might reverse this trend. The military accord allows for the usual joint training, joint military drills, and is a boost for the Turkish arms exporting industry, but it interestingly allows for the deployment of Turkish troops to Qatar and vice versa. This kind of agreement has been coming. Firstly, Qatar and Turkey have grown increasingly close in recent years. They have found themselves united by their approach to the politics of the Middle East as the Arab Spring took off and still as it now dissipates. In short, they both believe that the inclusion of moderate Islamist political actors in the regions affairs is crucial to the longer term viability of the new polities. Both Qatar and Turkey have long supported a variety of such actors, but most notably the Muslim Brotherhood. Indeed, when Qatar came under unbearable pressure in late 2014 to relinquish their support for the Brotherhood, as evidenced (not least) by the basing of dozens of key Brotherhood members in Doha, many of them left Doha to move (back, in many cases) to Turkey. 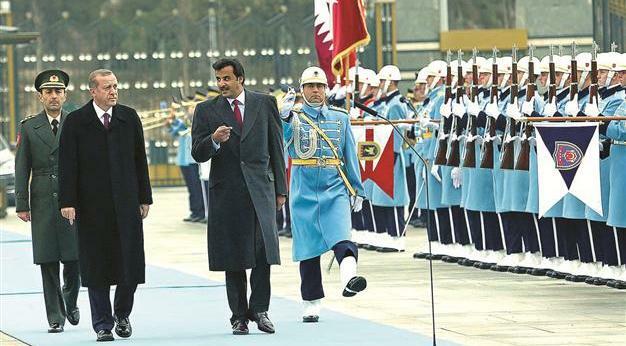 Qatar has taken a solace, then, in their Turkish relations as both of them have seen their regional aspirations narrowed by the shifting realities of the post-Arab Spring Middle East. Secondly, Qatar is looking for more military support options. All of the Arab states in the Persian Gulf region are nervous as to the longer term implications of not only the US-Iranian nuclear negotiations, but the US pivot to Asia. Many in the Gulf seem to fatalistically assume that this means that the US is abandoning their region in the absence of an overt Iranian menace in preference of facing up to China. While this may be true eventually, the timetable for such a change is nearer 30 than 3 years, but still the Gulf states are a-panicking. 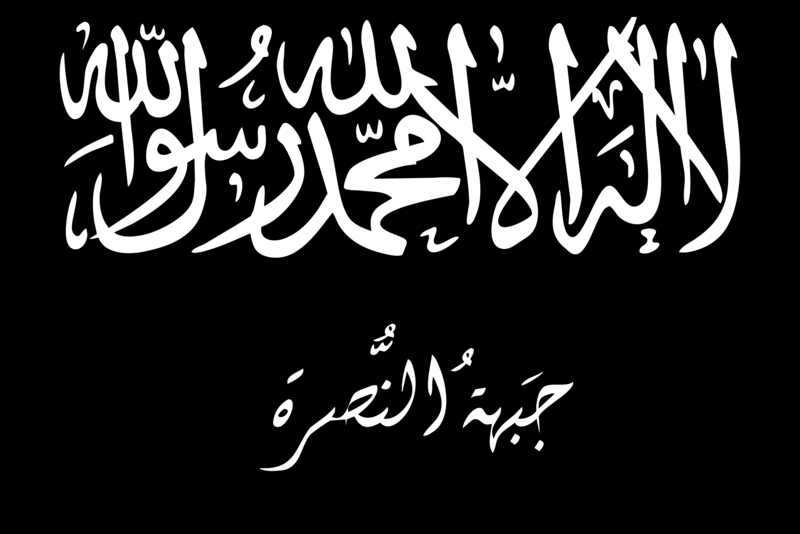 Thirdly, the Middle East is once again convulsing to civil war and strife. To the north of the Persian Gulf, Iraq inexorably implodes and Da’esh continues to menace. To the south, Yemen continues its implosion and Houthi groups that, to the Arab Gulf states at least, are seen as nothing less than bonafide Iranian proxies, expand their control as the state fractures. Sustaintable Defence Capacity or Old-School Alliance Building? 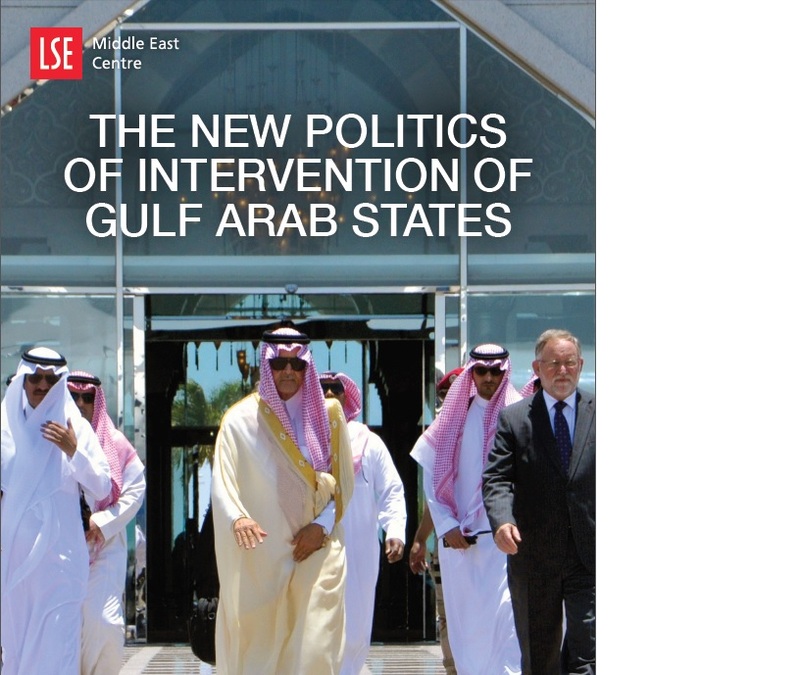 In the face of these challenges, there is a whiff of an emerging desire to build meaningful, professional, capable militaries in the Gulf region. This stands in contrast with the classical Gulf military model, which was rich in equipment, but poor in training, maintenance, and overall capability. The UAE seems to be leading this trend as its military, directed by Mohammed bin Zayed and tried and tested in conflict in Afghanistan and more recently in Iraq and Libya, has cultivated a genuine reputation as a force with genuine competence. It remains to be seen whether this Qatari-Turkish agreement will be a part of this new trend, of building up domestic capacity in a meaningful way, or it will be an alliance of the old school, with a Gulf state seeking military agreements with an extra-regional power to shore-up their security. 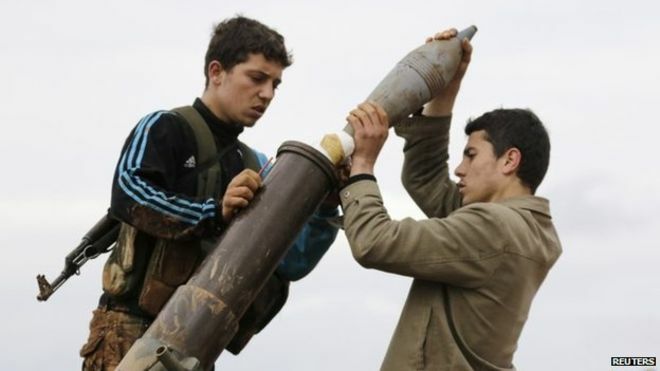 The Chairman of the Foreign Affairs Committee in the Turkish Parliament, Brak Junkar, insiststhat this agreement has ‘nothing to do with’ other on-going understandings and policies regarding cooperation supporting the Syrian opposition in Syria. But such a statement beggars belief. Qatar’s activity in Syria – or parts of Syria at least – has been fundamentally predicated on its close relations with Turkey at all levels. While there has been much cooperation thus far between the two states, showing that this kind of agreement is not strictly necessary to allow such joint activities, it is difficult to see how such considerations did not play a part in the wider calculus. As most sectors in Qatar continue to go through a significant budget squeeze, with 20% to 40% cuts being rampant throughout the ministries, the Ministry of Defence is, so far, immune. Moreover, with the upcoming fast-jet purchase and other big ticket items recently purchased (German Leopard Tanks, Patriot missile defence batteries, etc. ), Qatar’s defence budget is rocketing. But it is difficult to avoid the conclusion that some of the fiscal prudence being instilled elsewhere might be useful in this sector too. There is a distinct sense of ‘too many cooks’ in the Qatari military, with training missions and influence, not to mention training associated with specific equipment now coming from the Americans, the British, the Germans, the French, and the Turkish, to name but the major suppliers. While diversifying the fundamental dependency on American military guarantees is a wise move, Qatar looks like it needs to be more selective if it is actually trying to develop its military. But if, as per the classic Gulf norm, it merely wishes to tally-up a litany of ‘defence agreements’ as a hopeful deterrent and a theoretical defence in case the worst happens, then, though expensive, expect these kinds of agreements, alongside a lavish signing ceremony, to continue apace. As an update to the Saudi to borrow some troops from Pakistan article I wrote earlier this week, there is an interesting article in Dawn from one of its former editors. Discussing the $1 billion gift that was given to Sharif after his ascension to office, it discusses – to my mind at least – the most plausible ways that this gift could be reciprocated. The latest such reports suggest that now the Saudis are seeking three things from Pakistan. One, the provision of a ‘nuclear’ cover if Iran does actually make such weapons and two support and assistance to anti-Iran terrorist groups such as Jundullah and freedom to it to operate from Pakistani soil in Balochistan. Lastly, it is being suggested, the Saudis also want Pakistani troops to check any possible advance by IS from its strongholds in Iraq and also to keep an eye on its restive eastern regions. I am always aware of succumbing to the conspiracy-fueled nature of the Middle East where agendas within agendas are a part of the basic discourse. But this whole Saudi-Pakistan nuclear sharing idea seems to make a lot of sense to me. Given the deep, paranoid suspicions of Iran and the belief on the Arab side of the Gulf that Iran is nigh-on certain to be simply playing with America, their security fears are acute and will be even more pointed if an agreement goes ahead and the whiff of the ‘pivot to Asia’ rhetoric grows. Equally, there is no real drama in obtaining some notional nuclear umbrella ‘cover’. That Saudi might ‘hold’ a nuclear weapon like Israel – not announcing it but making it perfectly clear to those concerned that it has one – would strike me as a lovely, and potentially effective, irony of sorts. As for the second option of Pakistan and Saudi cooperating to support insurgent groups, when did that ever go wrong? That most ministries in Qatar are facing significant budget cuts is relatively old news. The bean-counters in Qatar were expecting a dip in the oil price and a rise in their infrastructure-driven expenditure since at least early-2014. Consequently, budget paring-back was always a central priority of the new administration. I’ve always believed that the new lot, on the first day in power in mid-2013, skipped merrily into the Diwan, had a look at the books and were somewhat horrified by what they saw – namely unchallenged expenditure. 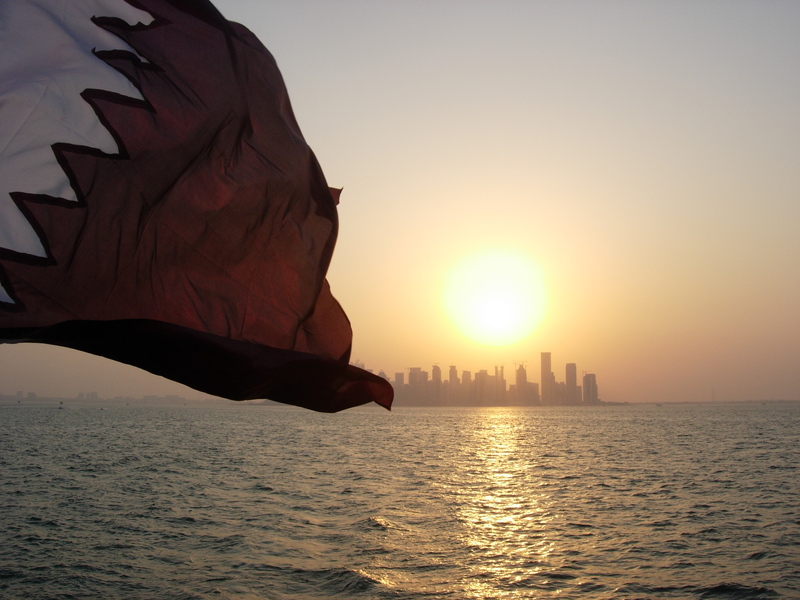 Qatar is a young state with an emerging bureaucracy. Spending has seldom been managed in what would be considered in a modern state a methodical, measured manner. Instead, the sense was of ministers doing their best, of course, but splurging cash left, right, and centre according to their best guesses as to what the Emir wanted. Don’t forget that under the Prime Ministership of Hamad Bin Jassim al-Thani (2007-2013), Qatar scarcely operated with a Prime Minister given how many hats he wore: also Foreign Minister (1992-2013), also chief of the Sovereign Wealth Fund (QIA), also Chairman of the national airline, and also Qatar’s dominant businessman. So the new administration set about rectifying the fiscal situation, driven by a belief that income would plateau somewhat. But now that the oil price has dropped off the proverbial cliff, things seem to be even stricter. But, as so often in Qatar, decisions are being made that just make little sense. A British science programme aimed solely at low-achieving Qatari male-only schools – in other words, an aim that could not possibly be more on target for the QF’s basic goal and even a goal that has become yet more important for the new administration – was scrapped. And how much is QF going to make by kicking out (albeit temporarily) students from their dorms? The self-defeating logic of Qatar never ceases to amaze. 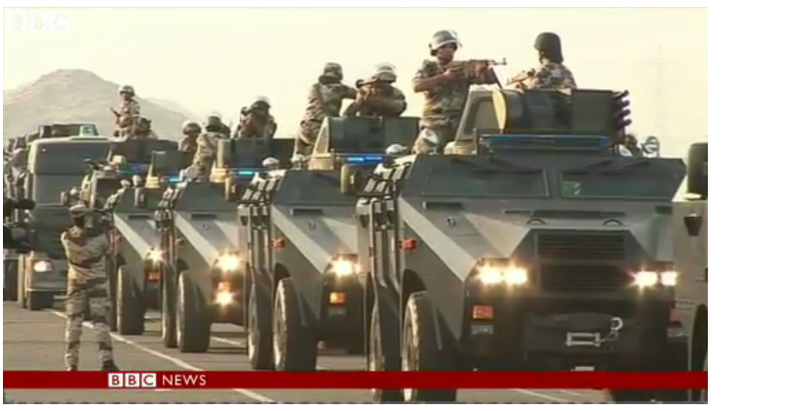 The BBC has a short but interesting report on Saudi defence spending. It reports that spending in 2014 has risen by 54% to $6.5 billion. Spending is expected to rise to nearly $10bn in 2015. Around $2bn worth of equipment is supplied by the UK, with the majority coming from the US. The deteriorating situation in various Arab states alongside rivalry with Iran are suggested as the key motivating factors. Interestingly, the domestic issues that that state is suffering from in its eastern provinces are not mentioned, nor are issues of the efficacy of its forces. See my article from earlier in the week for a bit more detail on some issues surrounding Saudi and its defence spending. Saudi Arabia and Pakistan have long had the closest of relationships. Extensive elite visits are a norm; the Pakistani Prime Minister, Nawaz Sharif, visited Riyadh this past week for the third time in 2015 alone. Pan-Islamic dogma, remittances, aid, and security are the glues that bind the relationship together. Saudi Arabia has graciously spread its religious ideas in Pakistan and, naturally, built the biggest mosque in the country: the Faisal Mosque. Pakistan’s third largest city was even renamed Faisalabad after Saudi’s King Faisal in 1977. Today, there are approximately 1.5million Pakistanis in Saudi Arabia, sending home a third of all remittances that Pakistan receives (around $4.73 billion pa). In return, aside from an acceptable source of workers, Saudi Arabia gets security cooperation. Pakistani soldiers were mobilised in 1990 to defend the Kingdom and cooperation continues though it is not clear how many Pakistani troops are currently deployed in the Kingdom. Rumours also circulate that there has been some kind of an implicit deal between Saudi Arabia and Pakistan regarding nuclear weapons. Were Iran to properly ‘go nuclear’, the scurrilous theory goes, Saudi Arabia would acquire, in its most plausible iteration, an off-the-shelf nuclear weapon from Pakistan, the world’s first (and only) Islamic nuclear power. Frankly, this strikes me as perfectly plausible and fits with persistent rumours of Saudi’s part-funding of Pakistan’s original nuclear programme. to boost the numbers of its [Pakistan’s] troops in the kingdom to help bolster Riyadh’s defences against Islamic militants. The threats to Saudi Arabia are real and apparent. To the north in Iraq there is Da’esh marauding around and to the south in Yemen, the Houthis – aka Iranians to the Saudis – are in the ascendancy. There are various implications of this iteration of Saudi-Pakistani discussions, chief among which is what this says about the indigenous Saudi Arabian armed forces. 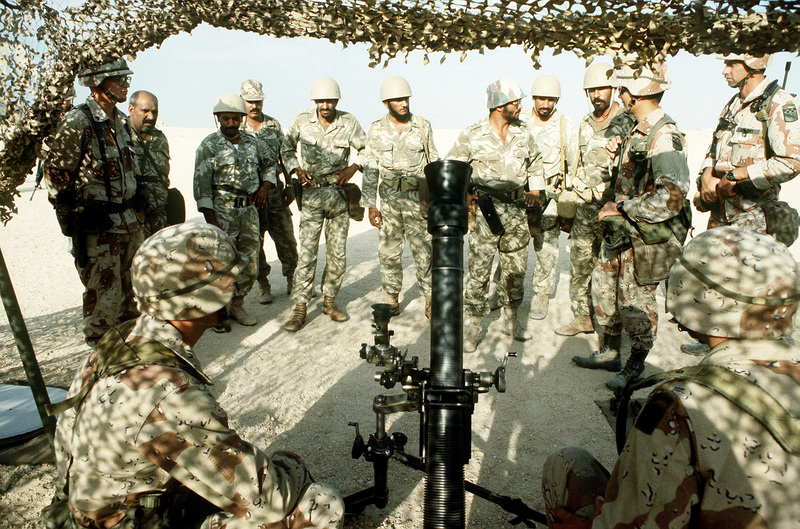 The 2015 IISS Military Balance notes that Saudi Arabia has 227,000 men in active service: 75,000 in the Army; 13,500 in the Navy; 20,000 in the Air Force ; 16,000 in Air Defence; 2,500 in Strategic Missile Forces; and just the 100,000 in the National Guard. Just to briefly and far from exhaustively highlight a few systems and structures, the state possesses around 14 mechanized or armored brigades, 600 main battle tanks, 7 principal surface ships, 69 coastal patrol ships, and 313 ‘combat capable’ aircraft including over 140 F-15s of various types and more than 100 Tornado and Typhoons. In short, on paper, Saudi Arabia has – to say the least – enough manpower and kit to take on the motley bunch that is Da’esh and defend themselves from whatever fractured, poor grouping might emerge from Yemen. Iran too, on paper, would be the merest of speed bumps on the Saudi march, let alone any other regional state aside from Israel. But this is not, of course, how things work. Even ignoring issues of irregular tactics being employed by enemy actors which militates against sheer numbers and takes the edge off technologically advanced pieces of kit, there is a deep problem if a state with the putative numbers and military spending of Saudi Arabia needs to borrow some troops from Pakistan for security. Quite the conundrum for the new 29/34 year old Saudi Minister of Defence to solve. On 23 January 2015, King Abdullah bin Abdul-Aziz al-Saud died and his half-brother, Salman bin Abdul-Aziz al-Saud, in a smooth transition, became King. This was the sixth succession in Saudi Arabia since it formally became ‘Saudi’ Arabia in 1932 under King Abdul-Aziz al-Saud (d.1953). 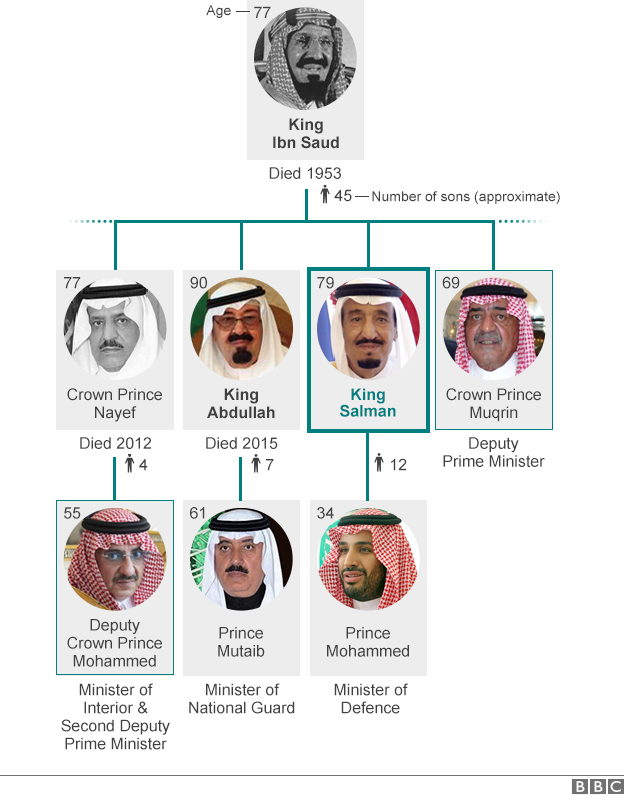 So far, each Saudi ruler has been a son of the state’s founder, Abdul-Aziz. The first three kings (Abdul-Aziz, Saud, and Faisal) were in their fifties on ascending to the throne, their next two successors (Khalid and Fahd) were in their sixties, Abdullah was in his 70s when he became regent and in his 80s when he finally became King. Salman was three weeks into his 79th year when he became King. This mode of succession begs the question of what will the Kingdom do now that it is rapidly running out of compos mentis sons of Abdul-Aziz. This succession event was more important, therefore, in terms of what it sets in motion regarding the transition to the new generation than for weighing up the similarities and differences of Kings Abdullah and Salman. Less than two months after eight new ministers were appointed under Abdullah, on assuming power, Salman swiftly instigated a raft of decrees shuffling the Saudi chess board once more. But, rather than the relatively cosmetic changes of the ministerial reshuffle of 8 December 2014, Salman’s changes concerned more important ministries and personalities. Bandar bin Sultan al-Saud, a former intelligence chief, close US-ally (sometimes referred to as ‘Bandar bin Bush’), recently in charge of the Syria file, and who retained a key position advising Abdullah and as the head of the national security council, was sacked. Indeed, the council itself was dissolved, as were a dozen other committees and quangos. The upshot of this is the significant centralisation of the work of these defunct institutions to two bodies: the Council for Economic Development Affairs (CEDA) and the Council for Political and Security Affairs (CPSA). One of Salman’s sons from his second marriage, Mohammed bin Salman al-Saud (MbS), has gained significantly in the reshuffle. Aged somewhere between 29 and 35, MbS heads the hugely powerful CEDA institution. Though his father the King has followed the tradition of being his own Prime Minister, in effect, the purview of this position means that MbS is ‘Prime Minister in training.’ Of equal significance was his promotion to become the world’s youngest Minister of Defence; quite a surprise given his lack of a military background. He remains the head of his father’s court and so replaced the arch insider and power broker Khalid al-Tuwaijri , who was the head of the Royal Court for Abdullah and who is, according to some reports, now under house arrest. Only Mohammed bin Naif al-Saud (MbN) can claim to have benefitted as well from the reshuffle. The 55 year-old MbN, a son of a former long-term Minister of the Interior and Crown Prince, Naif bin Abdul-Aziz al-Saud, has long been regarded as one of the most capable and efficient Ministers and consequently seen as primus inter pares of the second generation Princes in the race for the top job. He was promoted and officially anointed by the Allegiance Council [a body formed in 2006 to ratify such matters] as second-in-line to the throne. Though competition remains, as the second-in-line and as the head of the powerful CPSA, he is well positioned. In between MbN and the top job is Muqrin bin Abdul-Aziz al-Saud, the 69 year-old promoted to Crown Prince by Salman. That his mother was a Yemeni slave girl was often assumed to put him out of the reckoning for the position of King, but he now finds himself a heartbeat from ultimate power. Rooting around in the tactical weeds of the who, what, and why of the changes in Saudi Arabia’s elite politics is, while interesting, not necessarily that useful. Firstly, it is too early to draw any substantive conclusions as to the wider ramifications of the changes. Secondly, it is a debatable point as to whether it is more generally possible to accurately plot the trajectory of change in the Kingdom. So opaque is the politics that deveining a link between action and reaction, of not confusing causation with mere correlation, is tediously difficult. An analyst wanting to paint a doom-laden picture could point to the replacement of the head of the infamous Saudi religious police who was, much to the anger of those within the organisation, (slowly) reforming the medieval intuition. Similarly, the Game of Thrones-style replacement of two of Abdullah’s sons from positions of influence could easily be spun into a narrative of archetypal Machiavellian cutting and thrusting political intrigue. The blowing of $32 billion on gifts and bonuses for Saudis – a sum, as Hubbard notes, larger than Africa’s largest annual budget in Nigeria – also does not inspire confidence as to wider issues of fiscal prudence. Those in search of a more positive twist could point to the technocratic appointment of a trained lawyer as the head of the stock market regulator, the installation of a military-trained commoner as intelligence chief, or the appointment of the editor of the secular al-Arabiya news channel as Information Minister. Other examples of pragmatism reining over politics include the ministers of finance, foreign affairs, and, crucially, petroleum and mineral resources remaining in post. The best an analyst can do is to humbly plot the potential contours of the implications of the changes starting with what seems to be certain. Salman has been at the heart of Saudi decision making for much of the past half-century. Though Abdullah is believed to have had a significant impact on the direction of Saudi policies, there is no evidence that suggests that Salman was an especially reluctant follower. Abdullah, after all, made him his Crown Prince. Some kind of about-turn in the pace of glacially slow reform – with occasional faster spurts – instigated by Abdullah seems unlikely. With a strong record within the Kingdom for probity and having dealt relatively effectively with a wave of bombings in the mid and late-2000s (including being nearly killed by the world’s first rectal-bomb), and an apparently strong relationship with America too, MbN remains the favourite to be the first leader of Saudi Arabia from the new generation. But Salman’s changes have quite clearly catapulted his young son, MbS, into the wider reckoning. No one else has as influential a seat in both the economic and the security camps in Saudi Arabia, not to mention his role as gatekeeper to his father’s court. While MbN seems to offer a tried and tested safe pair of hands, MbS does not. He has no pedigree of any import whatsoever to take to his new, centrally important roles in the Kingdom. Doubtless his father saw some signs within him that persuaded him to heroically over-promote this son over others, but these skills are yet to be seen on the wider stage. Given the near-vertical rise of MbS and the real power that he now wields but the profound lack of knowledge about his skills, this situation must be classified as concerning. Partly this is an issue of basic capability of the Saudi-educated young Prince. But partly this is about the installation of an entirely untried and untested Prince at the centre of Saudi politics for, potentially, a number of decades. Four Deputy Defence Ministers have been sacked in the last 15 months alone, which some analysts suggest may be to do with MbS’s growing influence; a notion given more credence now that he has been appointed Minister of Defence. This could, of course, be a good thing: perhaps he demands a level of professionalism that they could not meet; equally, perhaps the opposite is the case. Linked to this issue is the wider speculation surrounding the battle for prominence of the Princes of the next generation. 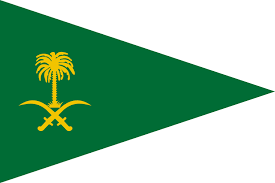 Given the historical importance of a military background or otherwise developing strong connections to some form of hard-power, there are three key princes: MbN the Minister of the Interior and head of the security-orientated committee, MbS as the Minister of Defence, and Miteb bin Abdullah, the head of the National Guard, who, though he has lost influence and backing of his brothers who were sacked from their Governorship roles, retains a loyal, effective, fighting force (and his brothers could well return). Eschewing the fatalistic supposition that all of Saudi politics belongs to the realm of the unknown unknowns, it is tempting to conclude that the near-term successions are not looking too challenging. Muqrin is in line to take the throne and, though the strength of his mandate on becoming Crown Prince (i.e. the number of votes he received in the Allegiance Council) is not known, it may be assumed that he will succeed. But even if he does not, the only logical alternative in view at this juncture is MbN usurping him. Such an outcome, though not immediately likely, does not present too problematic a challenge. Perhaps the only clear outcome from this past transition is that issues surrounding jumping down a generation have actually been complicated, potentially worryingly so, and not simplified. If MbN had been made second deputy Crown Prince amid a cabinet reshuffle, then the only reasonable conclusion would have been to see him as a clear favourite. But the rise of MbS in and of itself poses MbN a direct challenger with the portfolios to gather support and influence.